If you have been planning to purchase an Asus laptop for quite a while now, you will be happy to know that Asus Philippines has just slashed some bucks on select notebooks of them. 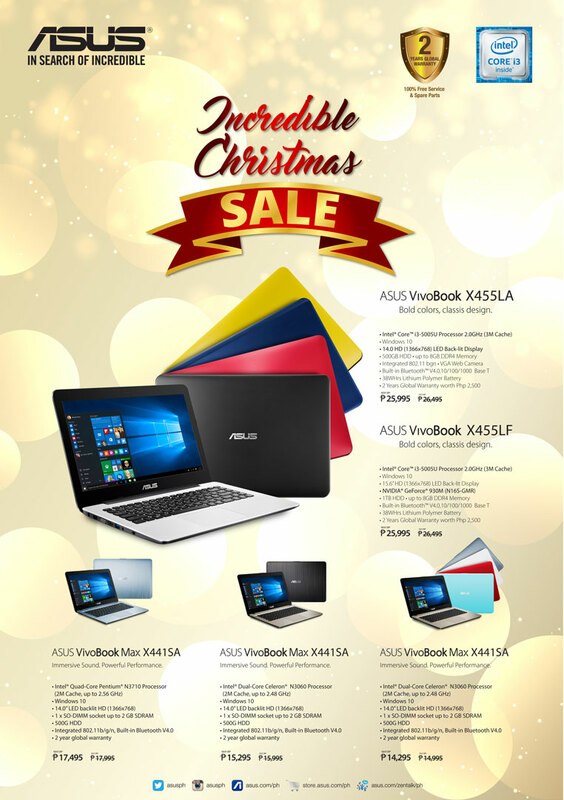 Dubbed the Asus Incredible Christmas Sale, this promo allows you to save a few hundred pesos when you purchase one. The Asus notebooks on sale are from the VivoBook series such as the X455LF, X455LA, and Max X441SA. See key specs and discounted prices below. All of these Asus VivoBook notebooks are now available for the said sale price. The offer will be available while supplies last.